You are here: Home / News & features / Environment / Swiss fact: 90 percent of Swiss electricity came from hydro in 1970. Now it’s only 60. According to Swiss statistics1, 90% of the nation’s electricity was generated hydraulically in 1970. By 2015, this percentage had fallen to 60. What happened? Between these dates hydroelectric output increased by 26%, from around 31,000 GWh to nearly 40,000 GWh. At the same time demand shot up faster requiring an 89% increase in output, an additional 31,000 GWh. This extra electricity had to come from somewhere and hydro has limits. To meet growing demand Switzerland invested heavily in nuclear, growing nuclear production by 1,094%, from around 2,000 GWh to over 22,000 GWh. By 2015, nuclear represented 33% of the total. In 1990, Switzerland added renewables other than hydro into the mix. That year it produced 88 GWh, or 0.2% of the total this way. 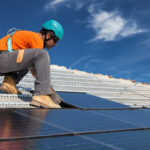 By 2015, non-hydro renewables accounted for around 1,700 GWh, a twenty-fold increase on 1990’s production, bringing its contribution to 3% of the total. 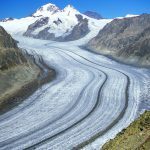 In order to switch off all nuclear power and fossil fuel facilities, Switzerland will need to increase non-hydro renewable output 15-fold to around 26,000 GWh. This assumes no increase in demand, a reasonable assumption given total output has remained stable since 2000. Under current plans the government will switch off all nuclear power generation by 2034, starting in 2019. The recent vote, which was rejected, only aimed to accelerate a process agreed by the government following the nuclear disaster in Japan in 2011. The cost of shutting down nuclear power plants is high and hard to estimate. 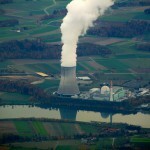 France has budgeted €36 billion to decommission its current stable of aging reactors. The Economist magazine questions this figure given Germany has budgeted €46 billion to decommission fewer reactors. Accidents increase the cost enormously. A new cover over Chernobyl’s reactor number 4 was added last month, only 30 years after it exploded in 1986. 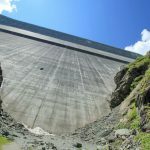 The new cover cost €1.5 billion and is only expected to last around 100 years, so the costs will continue. Similarly, some estimates of the expected cost of the nuclear disaster at Daiichi in Fukushima, Japan have climbed to around US$ 160 billion (18 trillion yen).